Want all day coverage? Try Cowgirl Dirt Southern Belle Cream Foundation to create the perfect natural look with lasting coverage. This cream foundation's amazing blend of ingredients nourishes, moisturizes, and improves damaged skin, all while protecting your skin from the sun. This is a product every sun-kissed cowgirl needs in her saddlebag. Southern Belle Cream Foundation tones and numbers correlate with the other types of foundation making it easy to switch between Cream Foundation, Mineral Powder Foundation, and Pressed Foundation. 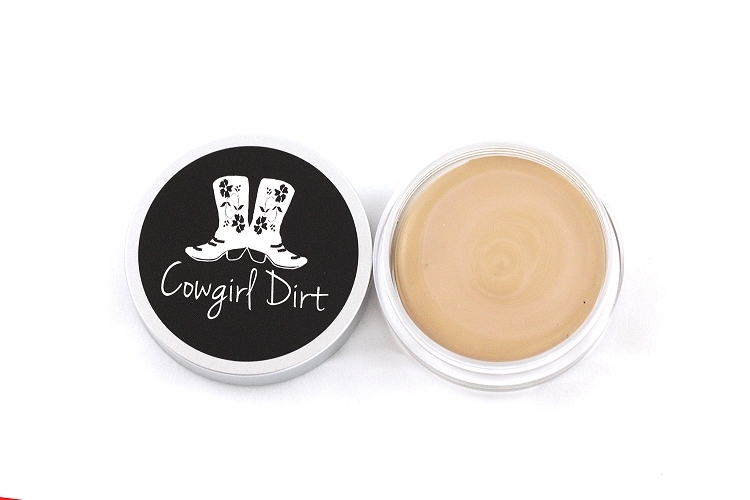 No matter what your skin tone or skin type, Cowgirl Dirt's Southern Belle Cream Foundation is sure to help give you a flawless look. 1.5gram Sample Size good for 1-3 uses. This product covered well and I would probably use it more, but the smell was a bit intense. It almost had an oil paint smell to it. Coverage great so re-formulate with the smell and it's a good product. I liked this foundation, but it made my face shiny and looked too much like I was wearing makeup around the drier parts of my skin. My mother tried what was left and loved it, however. This has to be one of the best foundation I've used. 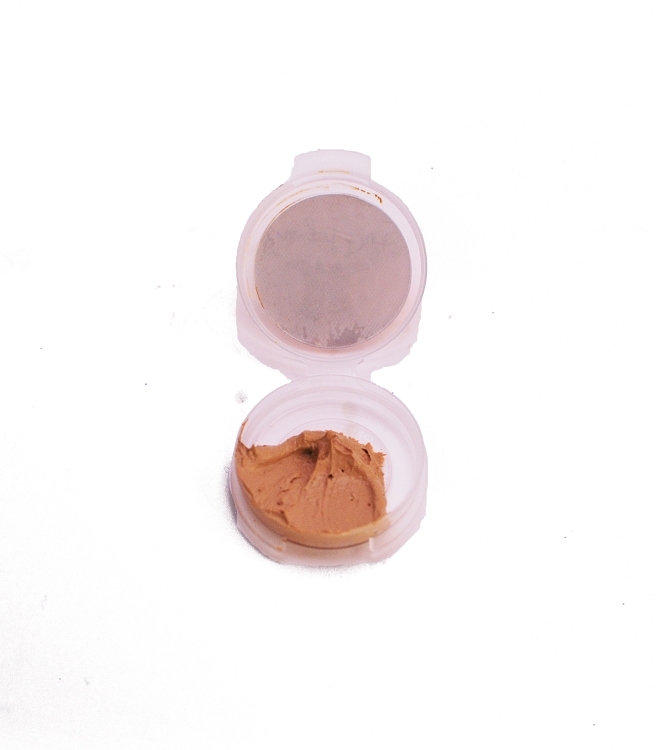 Its thick, creamy formula provides full coverage without feeling like you are wearing a mask. It blends beautifully with either a brush or a sponge. Works very well with other products. I have worn this all day, 8+ hours on a few occasions without any seperation or oily areas. I will definitely purchase the full size of this foundation. A great "foundation" to your makeup needs. A little went a long way. So good to know I was putting something good on my skin!! Very smooth and lasted much longer than most foundations. The best foundation I have used. I went on to purchase a full size amount. My first thought when putting this on my skin was that it smelled funny. It wasn't unbearable or anything, but took a few times to get used to. I tried this foundation for 3 days and knew it wasn't going to work for me. My skin is combination and it was too creamy. The coverage wasn't the greatest for me and if I put more layers on it just made it super thick and too creamy. Wishing it worked better for me! I do not care for this foundation. While the coverage is okay, it is sooo thick you can hardly rub it in. Would not purchase again. Received the Cremello (Cool 2) and wore all day...NO breakouts, which, for me, is a miracle. I haven't tried the other color sample yet to see which is a better match, but it's blendable enough to still look great without being cakey. I really prefer a cream foundation, so this discovery was a blessing. I was really hoping this foundation would be great. Unfortunately it didn't live up to my expectations. It was incredibly heavy on my skin, to the point of being waxy. It didn't blend well and blush or bronzer don't blend well either. Good color match, but not much else that I liked about it. The benefits of our organic, natural Southern Belle Cream Foundation are endless. Here are just some of those amazing benefits. Certified Organic Argan Oil: This oil is full of fatty acids to help protect your skin from pollution and sun exposure. Certified Organic Beeswax: This organic hydrating ingredient helps to increase the skin's moisture. Green Tea Extract: This antioxidant is rich with phenol and vitamin C to help promote healthier skin. Phytolipid Complex: This oil complex includes Jojoba, Rosehip, Neem, and Vitamin E Oils, all of which work together to help nourish, moisturize and rejuvenate skin. Zinc Oxides: This anti-inflammatory helps to heal and soothe irritated skin as well as protects from the sun's harmful UVA rays. To achieve a natural look, try applying Cowgirl Dirt's Southern Belle Cream Foundation with the help of our Latex Free Applicator Sponge or our Deluxe Foundation Brush. For a heavier application, use either a dry sponge or a dry deluxe foundation brush. For lighter coverage, try dampening the sponge or the brush with water before coating in Southern Belle Cream Foundation. Light shades are numbered 0, 1, 2, and 3. Dark shades are 4, 5, 6, and 7. No matter what your skin tone, our specially formulated Southern Belle Cream Foundation can help to complete your look. To keep your coverage all day, apply Finishing Powder to set your foundation. The Finishing Powder's translucent properties will hold your foundation without changing the color. If you are looking to enhance the coloring of your foundation and hold it in place, apply Silk Veil. Silk Veil has a light tinted coverage that won't add much weight to your face but will enhance your look and help it last all day. To enhance your coloring even more, apply a coat of Mineral Powder Foundation in the same shade to enhance and hold your look. Q. I was wondering what the Triglycerides are in the Southern Belle Cream Foundation? A.Triglycerides in our Southern Belle Cream Foundation are the liquid part of coconut oil. To extract the triglycerides, the coconut oil is spun, and the liquid part is separated out. Q. I am so pleased with your colors--Champagne is perfect for my neutral skin tone, and goes on smoothly and smells nice too :) However, it (mineral powder foundation) doesn't have as much coverage as I am used to. What would you recommend? Should I try your concealer instead? A. The Mineral Powder Foundation is layerable. If you would like more coverage, try putting on another application. Using Concealer or Southern Belle Cream Foundationâ„¢ under the Mineral Powder Foundation is also a great way to get the coverage you are looking for. 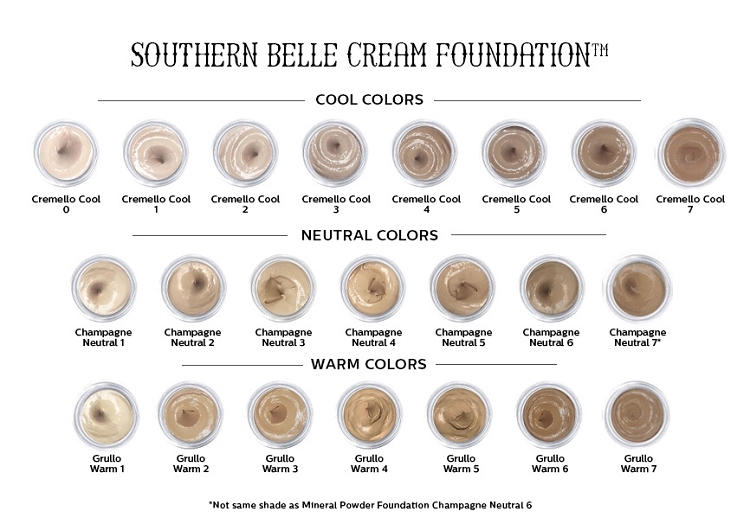 The Southern Belle Cream Foundationâ„¢ is lightweight to medium coverage depending on how it is applied. It is available in a wide range of shades, so you may find a better match for your skin. The Concealer may be used as a full coverage foundation. It is designed to cover blemishes or uneven skin tone. Q. The cream foundation is going on too thick. What is the best way to apply to get a lighter coverage? A. The best way to achieve lighter coverage from your Southern Belle Cream Foundation is to dampen your applicator. Whether you are using the Deluxe Foundation Brush or the Sponge Applicator, lightly dampen it before applying the foundation to it. Keep in mind that the damper the applicator, the lighter the coverage. Q. I'm using your southern belle foundation, do you suggest using the finishing powder over that? A. Finishing Powder is a great way to ensure long-lasting coverage of your foundation. Its translucent, weightless powder holds your foundation in place while not affecting the color.